Hi my name is Brenda Mazzaglia. I want to welcome you to my website. At Integrity Farm Labradors Retrievers we take PRIDE in our dogs, their litters, and also in our facilities. We hope that after visiting our site, and YouTube Videos, you will feel like you know something about us and are comfortable working with us. Enjoy our website. This is a very large website with lots of information. I have been working and adding to it for many years now. So please take your time and read through it all. If you have questions, don't be afraid to call and ask. We occasionally have puppies available. We concentrate on producing good quality, easy to train, family pets - show dogs - hunting dogs - all a lab can be! Purebred Labrador retriever puppies. All of our puppies are raised with much TLC and socialization to integrate easily into any lifestyle. Pups have their first set of shots, NH health certificate, and are wormed before they leave our home. For details of our puppy placement policies, please review our Must Read Information. We specialize in breeding Black and Yellow English Labrador retrievers. 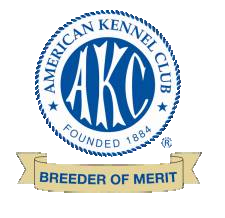 We breed from AKC parents who have certified clearances and all males AKC - DNA & heart tested. We occasionally have puppies available. They would be listed on the " litters Due Page" of this web site. We concentrate on producing good quality, easy to train, family pets - show dogs - hunting dogs - all a lab can be! Purebred Labrador retriever puppies. All of our puppies are raised with much TLC and socialization to integrate easily into any lifestyle. Pups have their first set of shots, NH health certificate, and are wormed before they leave our home. For details of our puppy placement policies, scroll all the way to the bottom of this page and read all the info.